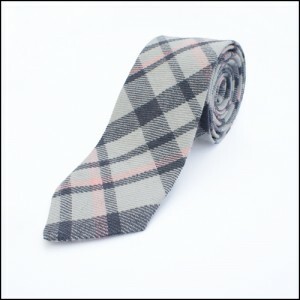 I was commissioned to design and make three ties for a wedding, the groom, best man and usher. The bride and groom wanted a ties with grey tones and a subtle amount of pink but were struggling to find anything suitable so they came to me for help. Working very closely with the bride and groom the fabric was designed to reflect their theme and colours, every step of the way they were consulted on yarns, colours and samples to ensure the ties were perfect for the big day. 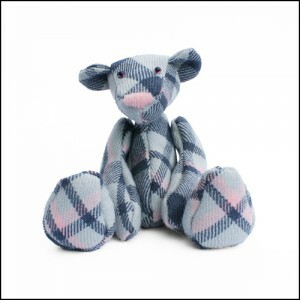 They loved the ties and wanted a teddy bear made from the same fabric so that they could have something special to keep and remind them of their special day.